Salvo is another one of the Outer Banks' hidden gems, a small town located on the southern end of the locally-named "Tri-Villages" of Rodanthe, Waves and Salvo. This coastal town has a small collection of tackle stores and variety stores, but not much else, and Salvo vacationers love it that way. Literally miles away from the mainland and located an estimated 20 miles across the Pamlico Sound, Salvo may be a half hour drive from the busier northern Outer Banks towns, but feels like it's in a world all its own. A vacation in Salvo includes hours of uninterrupted beach and family time, and for vacationers who want to relax without any distractions, this little town is definitely a dream destination. When it comes to the question of where to stay, Salvo visitors will find an occasional campground and a small, almost hidden motel. 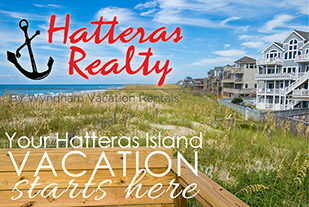 However, the majority of the area is comprised of vacation rental homes, which can be rented on a weekly basis by Hatteras Island property management companies. While a number of these homes are of the classic coastal variety, with cedar shaked exteriors, efficient but welcoming kitchens, and wide open porches to enjoy a breeze, recent development in the area has produced a number of more modern vacation homes. These homes have all the amenities of a five-star vacation destination, including multiple living and lounging areas, private heated pools, hot tubs, game rooms, and even special accompaniments, like practicing golf greens or volleyball courts in the back yard. With such varied and entertaining amenities, many vacationers don't mind the seclusion of Salvo, as a vacation rental home in this area can feel like its own private resort destination. 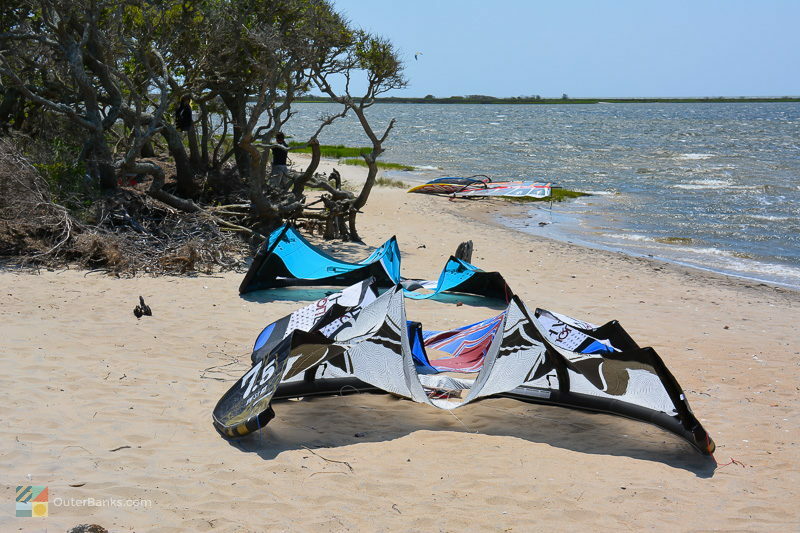 Watersports - Like Waves and Rodanthe, Salvo is internationally recognized as one of the best kiteboarding and soundside water sports launching areas on the East Coast. 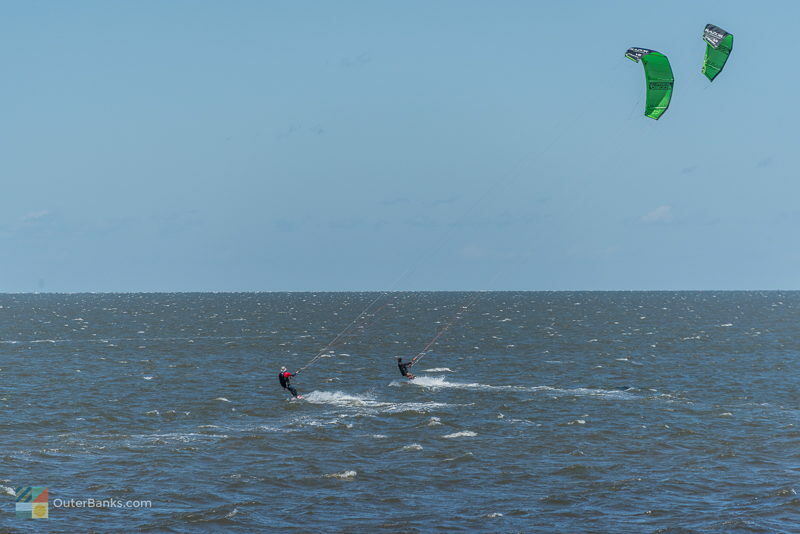 On any given spring or fall day, visitors can spot dozens of kiteboarders sailing across the waters bordering the Wind Over Waves community, or congregating by the Salvo Day Use area. Salvo Day Use Area - The Salvo Day Use area is essentially a public park maintained by the National Park Service (NPS), and is a water lover's paradise, with sandy soundfront beaches, a cluster of picnic tables, plenty of soundfront parking, and even seasonally opened restroom facilities for visitors. Ideal for water sport lovers of all genres, including kayakers, kiteboarders, windsurfers, and stand-up paddle boarders, the area is also a perfect playground for young families with little ones who may be hesitant around the ocean waves. Here, they can splash and play in the Pamlico Sound, which has gentle water, a gradual slope, and an average depth of 1-2' ft. near the shoreline. 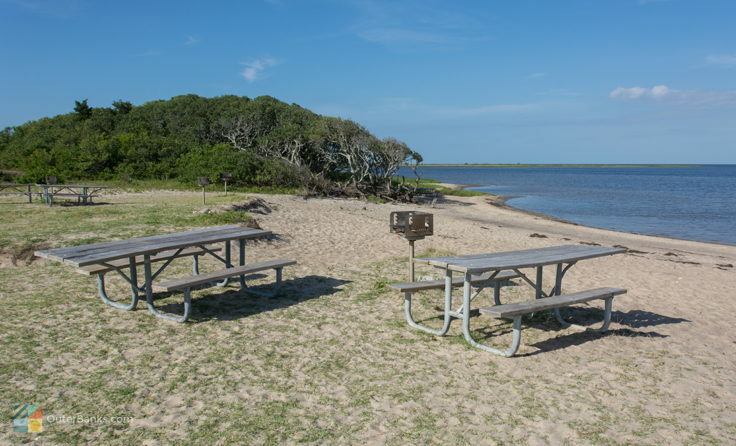 Adventurous vacationers may want to check out the beach driving ramp right across the street, (a beach driving permit is required but can be obtained from the NPS local offices), or head slightly south to a series of unmarked and relatively undiscovered nature trails. Winding through thick patches of maritime forest, marshes, and soundfront beaches, the wild trails just south of Salvo are virtually undiscovered. In fact, the only sign of human habitation in this area is an occasional manmade wooden bridge that leads over a salty canal. Be warned that there are no markers or distinguished trails to lead the way, and bug spray may be a necessity in the hot summer months, but for visitors who love a wild adventure, the sandy paths on the outskirts of Salvo are worth exploring. 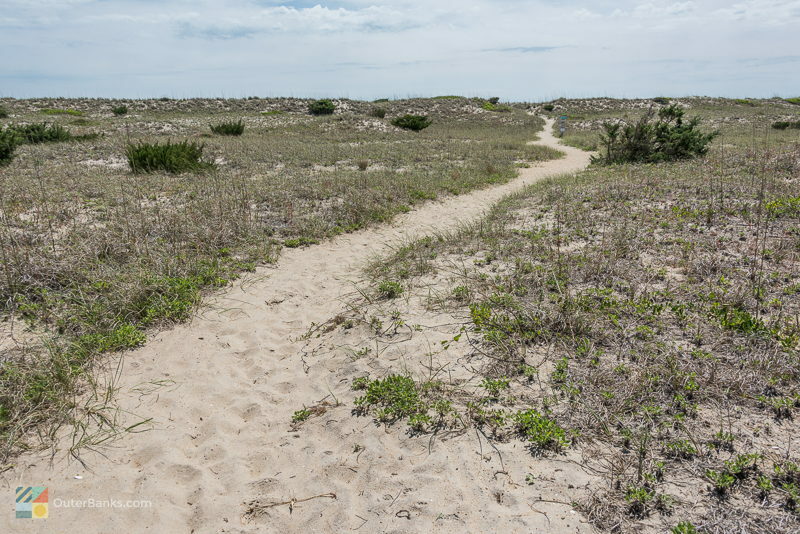 The beaches are part of the National Park Service's Cape Hatteras National Seashore, and as such, visitors will notice no development past the dune line. 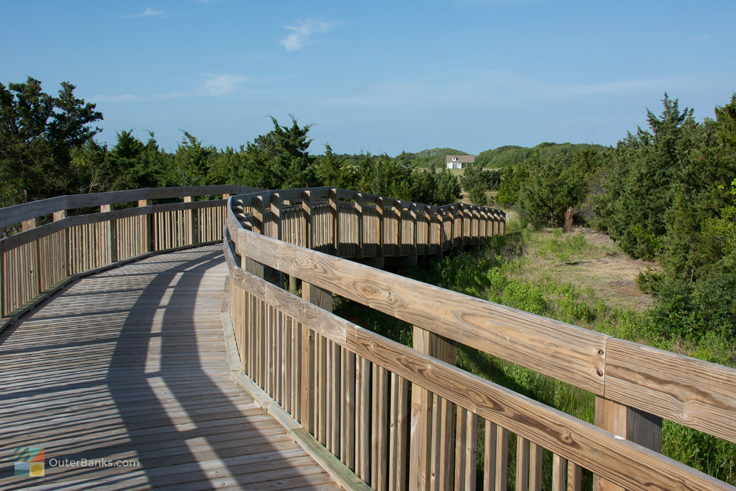 While this can create a little walk for even oceanfront vacationers, it ensures miles of undeveloped shoreline, and impeccable and uninterrupted oceanfront views. 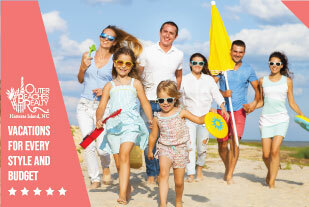 In fact, Salvo vacationers will find that they have the feeling of having the beach "all to themselves," as even in the most populated summer months, the nearest family group of beach goers is always many feet away. The seclusion and privacy is a big draw to vacationers, who can wander down the beach to the desolate outskirts of town, enjoy a bit of shore side angling, or simply enjoy an afternoon of sun and fun with the entire family in tow. As part of the National Park Service's beaches, there are a few rules and regulations in place, and the tri-village area is sporadically patrolled by NPS rangers in 4-wheel-drive vehicles. However, few families find that the lax guidelines, such as leashing a pet, or maintaining a beach bonfire below the high tide line, infringe on their beachside fun. Fireworks are not permitted in Salvo. There are no lifeguard stations in Salvo. 4x4 Driving on the Beach - The beaches of Hatteras Island and Ocracoke Island are managed by the Cape Hatteras National Seashore. Permits are required, and can be purchased online and sent via mail, or in person at one of the following locations: Coquina Beach office, Cape Hatteras Light Station, and the Ocracoke Visitor Center. Each vehicle must have its own permit. Vehicles must be registered, licensed, insured, and have a current safety inspection if required in home state/country. Vehicles must have low-pressure tire gauge, shovel, jack and jack support board. A spare tire, first-aid kit, fire extinguisher, trash bags, flashlight and tow straps are recommended. ATV's are not permitted. Night driving is generally allowed from November 16 through April 30. See current access ramps and beach closings by visiting this page and clicking on the "daily beach access map". Obey all posted signs. For centuries, the tri-village area was grouped together as one town, "Chicamacomico," which was the original name given to the area by Hatteras Island's northern Native American tribes. As the three towns pulled away from their original names and were gradually separated in the 1800s, Salvo was renamed as Clark, or Clarksville by the sparse population of local residents. Still literally off the map, few outsiders ever realized "Clark's" existence. In fact, during the Civil War, a sailor on a passing Union ship took notice of the area, but could find no reference to the town on his map. Approaching his find to the captain, the captain replied that they should "Give them a Salvo anyways," or a greeting by firing a cannon, which the ship did. The sailor, in haste, wrote "Salvo" by the area's name, and four decades later, in 1901, the town took the name of "Salvo" and established its first US Post Office. Building a local Post Office may not seem like a noteworthy event, but the original Salvo Post Office is legendary, as for decades it was the smallest running Post Office in the United States. With less than 100' square feet of space, Post Office visitors basically had enough room to enter, turn around, and leave. Unfortunately, the historic Post Office was burned down in the early 1990s and later replaced by a larger structure that serves all three villages. However, a replica has since been built along the side of NC Highway 12, identical to the original in size and color, and can (barely) be noticed by passerbys who pay attention. Vacationers who dream of a vacation that just borders on the wild side will love a week of relaxation and exploration in Salvo. Bordered by 15 miles of undeveloped shoreline, and with just enough amenities to ensure a good and well-stocked vacation, the town is a refuge for folks who literally want to escape to the edge of the world. 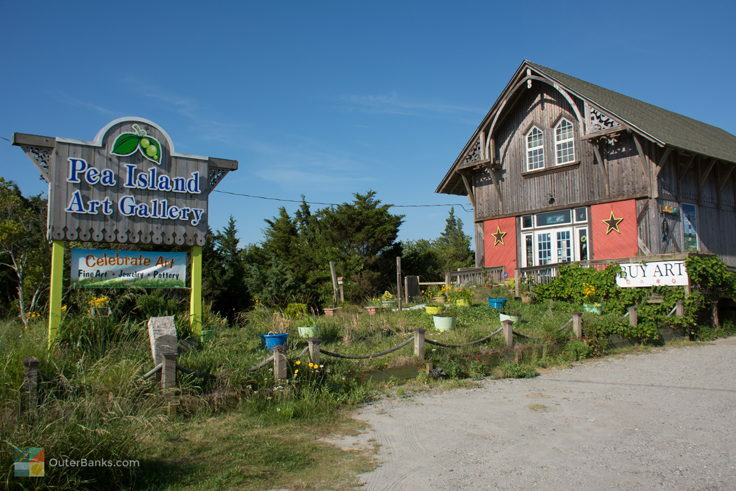 Granted, the busy northern Outer Banks towns are a 30 minute drive away, and there are clusters of restaurants and shops throughout the tri-villages to enjoy, but Salvo vacationers treasure the area for its seclusion, fantastic rental homes, and miles of undiscovered beaches. After all, there's a reason why for centuries this town was literally off the map. 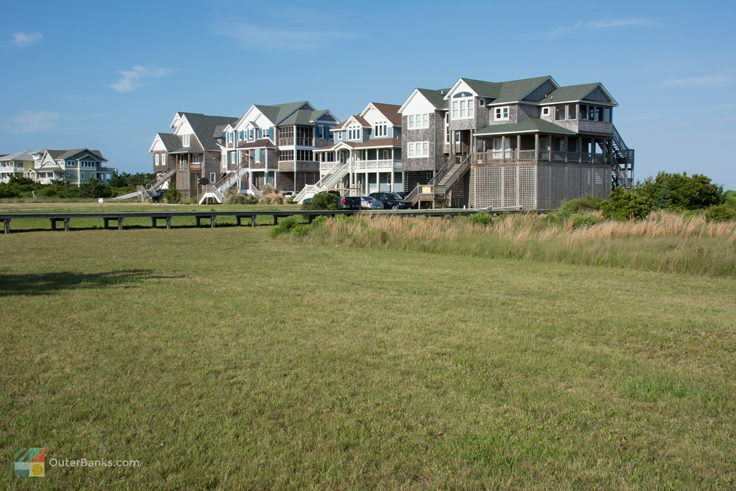 Salvo is located on Hatteras Island, and is the southernmost town of the “tri-villages.” It is bordered to the north by the town of Waves, and is roughly 30 minutes away from central OBX destinations such as Nags Head and Manteo. How do you get to Salvo, NC? Visitors can reach Salvo by following NC Highway 12 south across the Bonner Bridge, and past the Pea Island National Wildlife Refuge. What is there to do in Salvo, NC? 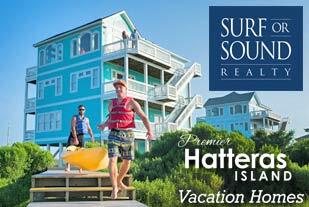 Salvo is known for its wide and uncrowded beaches, as well as its access to the Pamlico Sound. As such, the town is a popular destination for fishing, kiteboarding, windsurfing, SUP and kayaking, and surfing. The town is close to several restaurants and shops, as well as area attractions like the Chicamacomico Life-Saving Station. Where are the beach accesses in Salvo, NC? 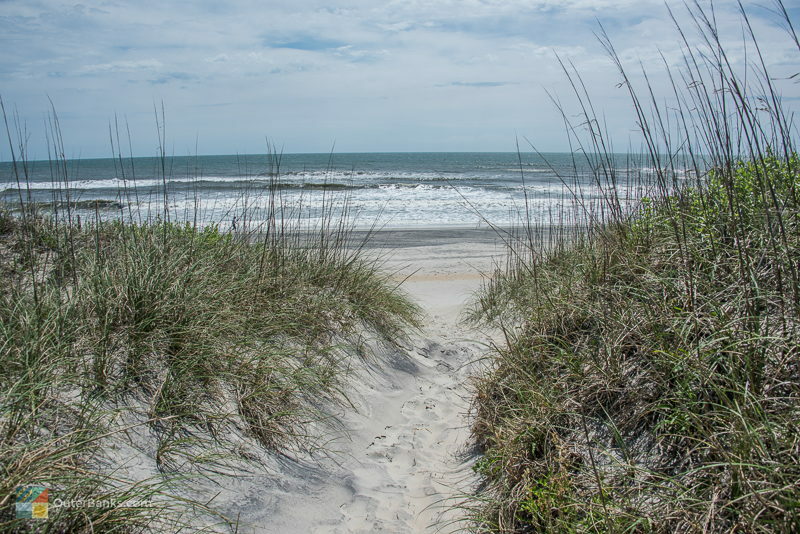 Beach accesses are located throughout Salvo, and are at the end of virtually every oceanfront street. In addition, there are several parking areas and ORV ramps just south of town, which includes the popular soundside access spot, the Salvo Day Use Area. 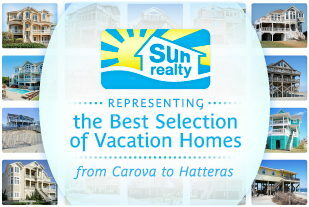 What are the attractions in Salvo, NC? Salvo is famous for its replica of the original miniature post office, which was once the smallest post office in the country. The town is also close to the 1800s Chicamacomico Life-Saving Station in Rodanthe, the Rodanthe Pier, and the Kinnakeet Life-Saving Station in between the towns of Salvo and Avon. 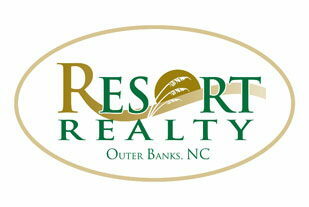 Where do you stay in Salvo, NC? Salvo has a small motel, and plenty of vacation rentals which can range from 2-3 bedroom cottages to 10 bedroom homes or more. The town is also close to a number of campgrounds that can accommodate tents and RVs. What can you do on a rainy day in Salvo, NC? 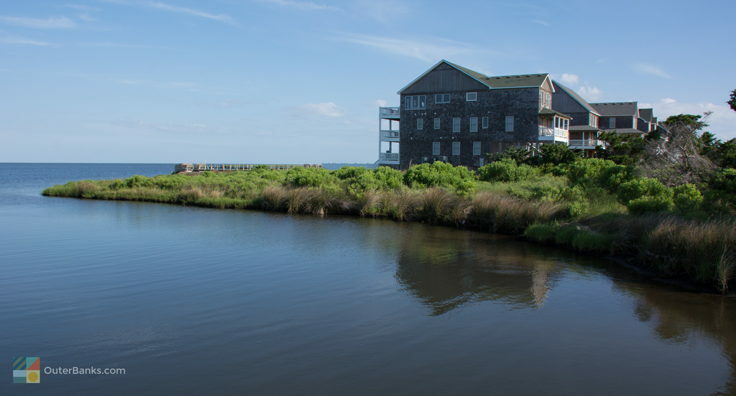 On a rainy day, visitors can head north to central Outer Banks destinations like Roanoke Island or Nags Head, or head south to Hatteras Island sites like the Cape Hatteras Lighthouse or the Graveyard of the Atlantic Museum. The town is also close to area beach shops, restaurants, and an amusement center with laser tag arena. Are there lifeguards in Salvo, NC? There are no lifeguards in the tri-village area of Salvo, Rodanthe, or Waves, however the Chicamacomico Banks Water Rescue regularly patrols the beaches in the summer months. Where can you kiteboard in Salvo? Salvo has a number of soundfront communities with sound access points, and visitors can also head to the Salvo Day Use Area just south of town. This soundside access point has parking, seasonal restrooms and showers, and multiple launching locations. Are there shells in Salvo, NC? Salvo is a popular beachcombing spot, especially after a storm or in the off-season. Visitors can head to the ORV ramps and parking lots just south of town to find miles of uncrowded beaches. Are pets allowed on the beach in Salvo, NC? Pets are allowed on the beach year-round provided they are on a leash at all times. 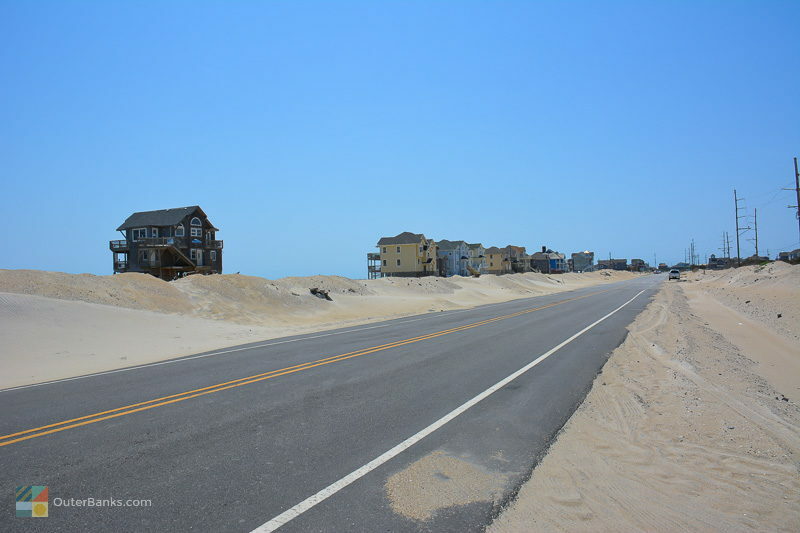 Can I drive on the beach in Salvo, NC? 4WD vehicles are allowed on the beaches in Salvo from October to March. Salvo is also close to several ORV ramps just south of town, which are open for most of the year, and which include Ramp 25, Ramp 27, and Ramp 30. Do you need a permit to drive on the Salvo beaches? A Beach Driving Permit is required to drive on the Cape Hatteras National Seashore beaches. A permit can be picked up at the two ranger stations in Buxton and by Oregon Inlet, or can be obtained on the National Park Service website. Are beach bonfires allowed in Salvo? Beach bonfires are allowed in Salvo, year-round. A permit from the National Park Service is required, which can be picked up in-person or online. When is the best time to visit Salvo? The summertime is the most popular season for visitors, however fishermen and kiteboarders also frequent the area in the spring and fall months. What are the air temperatures each month in Salvo?